Snow White Comic from 1938. This is such a pretty comic, I प्यार that they included some scenes that wheren't featured in the finished movie and that they changed the story a little bit and some of the कोट्स :). 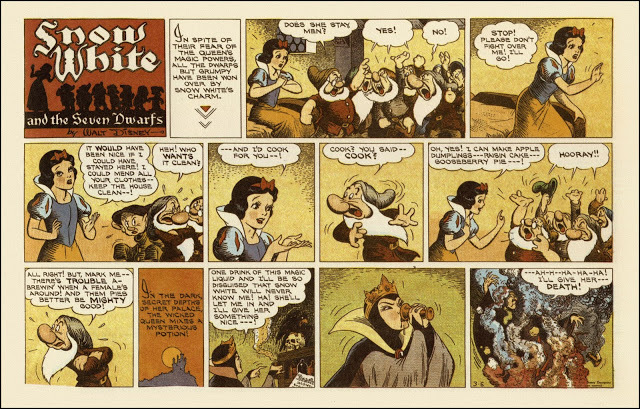 Wallpaper and background images in the स्नो व्हाइट एंड द सेवेन ड्वार्फ्स club tagged: disney snow white and the seven dwarfs comic 1938. This स्नो व्हाइट एंड द सेवेन ड्वार्फ्स fan art contains मोबाइल फोनों के लिए, हास्य पुस्तक, मंगा, कार्टून, एनीमे, कॉमिक बुक, and manga.